Join us in another celebration of the Institute as we look back at the highlights from the month of April (2017). Listen as Laurie Baker, Taya Forde, Karen Hotopp and James Burgon discuss recent publications, awards and achievements by Institute researchers. 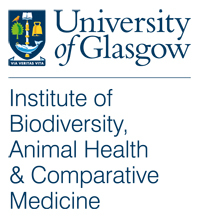 In this episode of Naturally Speaking, Dr Caroline Millins and Dr Roman Biek from the Institute, along with Prof. Des Thompson from Scottish Natural Heritage, discuss their recent publication reviewing the effects of conservation management on Lyme disease. The Naturally Speaking editors gather to discuss new research from the Institute and highlight some of their favourite things from the month of March. PhD student Adam Field discusses biogerontology (‘ageing biology’) and what we can learn from animals that are seemingly better at ageing than us about living longer, healthier lives. In villages across the Malaysian state of Sabah, locals are being asked to do something unusual: expose themselves to—potentially malaria carrying—mosquitoes. The person behind this request is third year PhD student Rebecca Brown. Here, Rebecca explains why and walks us through the steps of conducting her tropical field research. Prof Ruth Zadoks tells us about her research into the factors that can allow disease-causing bacteria to make the jump between species.